Yesterday I met Edna Sackson. She is someone I've "known" online for around 8 years. We first "met" as part of the blogging alliance set up by Kelly Tenkely in the 2009-10 school year. We became part of a network of teachers who exchanged our ideas and shared our practice. Edna was in Mumbai this week running a PYP workshop about getting connected. It was truly amazing to meet her in person after all this time. And it got me thinking about ways I get connected in my personal as well as my professional life. Over 30 years ago, when I was 23, I went to India. The only real way of staying connected with my parents was to write letters. But it wasn't really a connection - it wasn't two-way communication. I would write a letter and they would not be able to write back as I was on the move a lot. Only once, in the whole time I was there, did I managed to make a phonecall to them, and that took a lot of organising and booking a specific time for a "person to person" call. Even so that was better than the situation faced by a friend of mine who went to work with the Antarctic Survey team, who was told he could send 60 words a month to his parents! 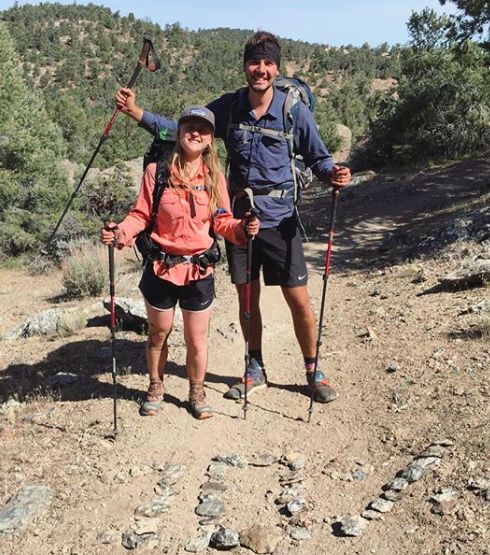 My son is currently walking the Pacific Crest Trail. Although he is out in wilderness areas, in mountains and deserts, he's managed to stay in regular contact for the weeks he has been away. We use Whatsapp to talk to each other, but we communicate in lots of other ways as well. For example he drops photos into a shared iCloud folder for me to see. He has left me voice notes which I have turned into blog posts, which then get sent out via email and Facebook. He has an Instagram account where he posts photos and video. Although he is a long way away without much of a connection for a lot of this time, I still feel pretty connected, and when we actually speak it's as clear as if he is standing in the next room. I know in this I'm blessed. On days when I don't hear from him I've taken to reading posts about the sections he is walking from other hikers who did the trail last year. Some of them have posted videos so I can see the terrain he is walking through. My own parents didn't have a clue where I was or what I was doing when I was overseas in my 20s, in the case of my son I have a pretty good idea what he is doing almost every day. 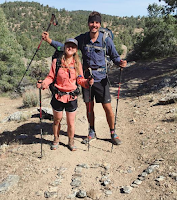 By the way, if you want to follow his progress along the PCT, here is a link to his blog (he's currently done about 10% of the walk). I agree - connections and collaboration can happen in many different ways. I'm really glad we are still connected!